Take a tour, get to know Applecore! 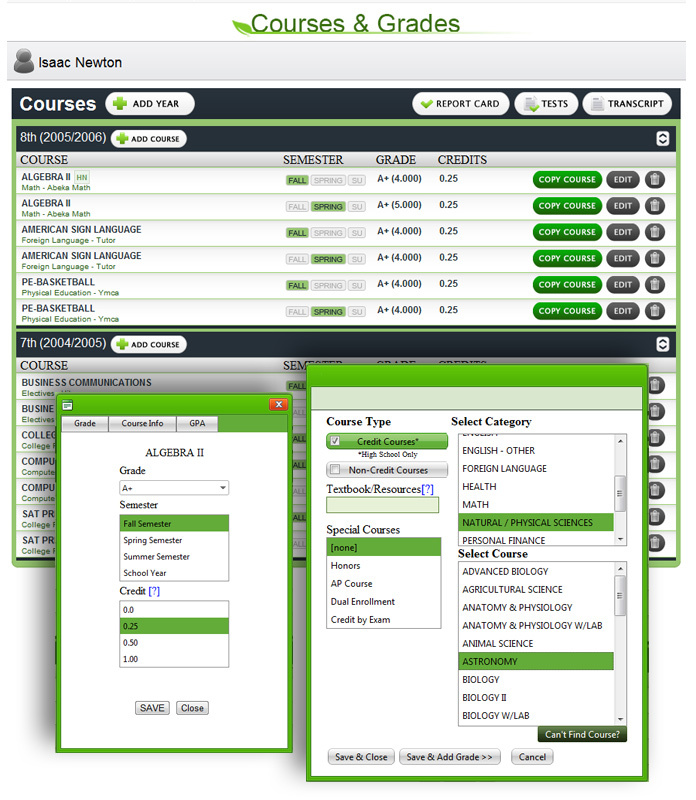 Enter Courses, Grades, Print Report Cards & Transcripts! 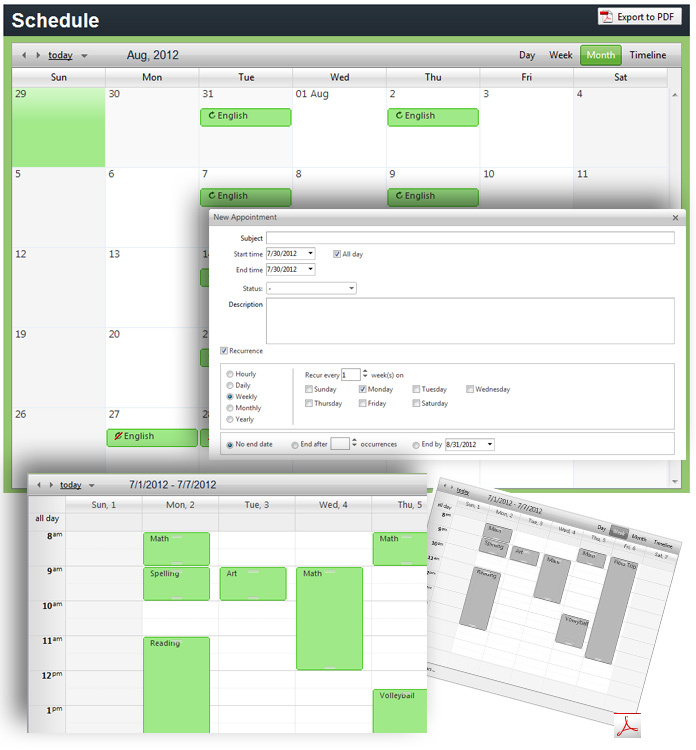 Keep track of attendance and print attendance reports! 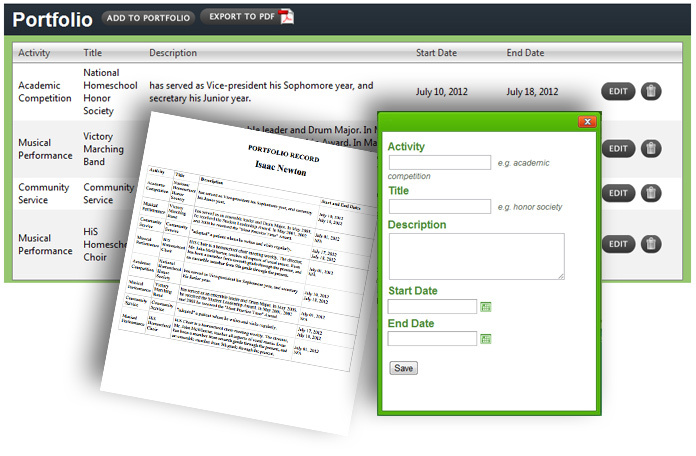 Create a portfolio and print it to add to your transcripts! 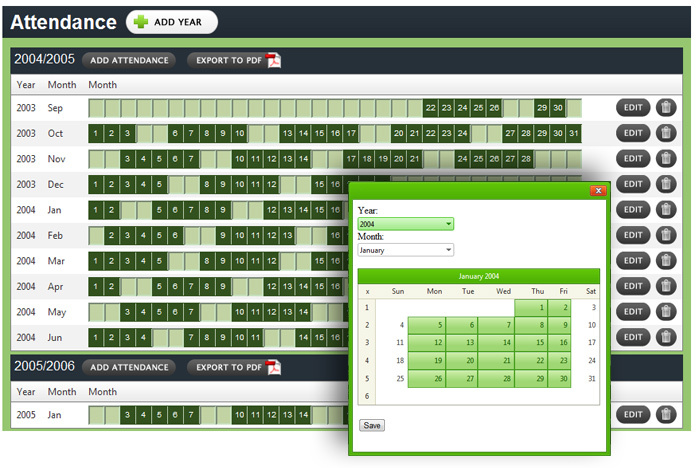 Keep track of each student with the scheduler, print a day, week or month!